My Learning to provide free learning to Scotland. My Learning (UK) Ltd today announced that they will be providing free learning platforms and services to schools in Scotland with immediate effect. The company wishes to allow schools in Scotland to benefit from their resources without fear of contracts or costs. The decision by My Learning was made in August, after Google UK Ltd reluctantly withdrew its expression of interest on May 2nd 2012 to bid for the provision of ‘Next Generation Glow’ in Scotland. Many schools were anticipating exciting prospects for ‘Glow 2’, potentially powered by Google Apps for Education. My Learning are at this year's Scottish Learning Festival on 19th and 20th September stand C9. 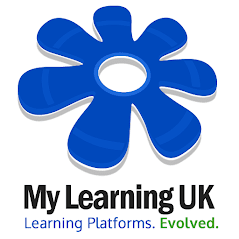 My Learning (UK) Ltd is a software development house which provides innovative learning software and services. Their products are multi-lingual, multi-device compatible and are based entirely on open-source technologies. They provide services to the UK and international clients at all educational abilities, ages and levels. Founded in 2008, and based in Telford, Shropshire – they are staffed entirely by ex-teachers and educationalists and work with agents and resellers throughout the world. They are fiercely independent, and fully support free and open-source solutions.